Sorry... the 2016 BMW 535 is no longer being sold as new. 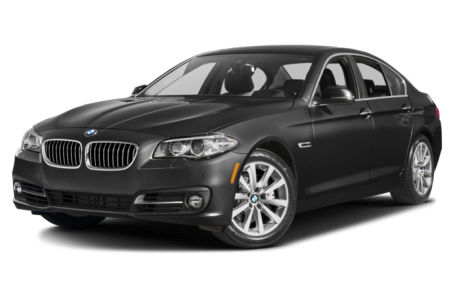 The 2016 BMW 535 carries over sans major changes for the new model year, but does add enhanced USB and Bluetooth as standard equipment. From the outside, the 535 offers traditional BMW styling with its kidney, split-style grille up front which is flanked by xenon headlight clusters with dynamic auto-leveling on either side. LED fog lights and taillights come standard, as do heated, power folding side mirrors, 18-inch allow wheels, Corona headlight rings, and a power moonroof which lets more light and air into the cabin. Under the hood, the 535 shares an engine with its 2-, 3-, and 4-Series counterparts, a 300-hp, turbocharged 3.0-liter straight-six that makes 300 pounds feet of torque. An eight-speed automatic is the only transmission option; rear-wheel drive comes standard, with a 535 xDrive model also available that comes with all-wheel drive for added traction in inclement weather or poor road conditions. The 5355 also offers auto start-stop engine technology, which will shut down the engine at stop lights to conserve fuel and restart it again when you release the brake pedal. Fuel economy is estimated at 20/31 mpg city/highway for rear-wheel models. Inside, the 535 offers a comfortable, luxurious cabin that doesn’t skimp on the features. Enhanced USB and Bluetooth now allows a second phone to be paired, adds another microphone for better call clarity, and includes mobile office functionality which allows the system to read texts, emails, calendar reminders, etc. Also standard are power front seats, HD radio, navigation with a 10.2-inch high-res screen, iDrive infotainment with a touchpad controller, and real leather upholstery. Heated/ventilated front seats are available as an option, as is a dual-screen rear-seat entertainment system. Standard safety features include six airbags, active front head restraints, antilock brakes, and electronic stability control. The 535 also offers lots of available safety technology, including adaptive cruise control with stop-and-go capability, blind spot warnings, lane departure warnings, and a rearview camera. 6 of 7 (85%) consumers said they would recommend this vehicle to a friend.